Workshare 9.5 is slated to touch down sometime later this month. Here’s what it will entail and why the upgrade will be worth it. As Workshare 9 settled in, the development team was able to spend some time improving the program as a whole. Version 9.5 will introduce much needed changes that will make using Workshare faster and more comfortable. One major drawback previously was that it had difficulty with tables in both PDFs and Word documents. This feature has been vastly improved to track structural changes (inserting, deleting, and moving), in addition to the text changes made within the tables. Along with tables, Workshare now has the ability to recognize and compare embedded Excel tables, which should improve workflow tremendously. 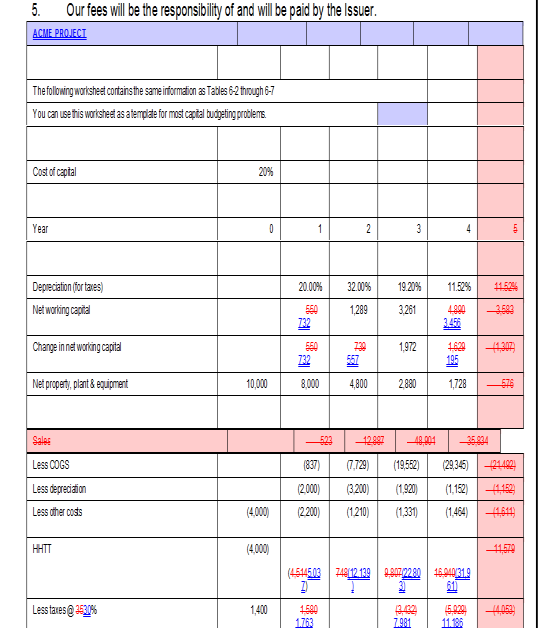 Tables in PDFs can also be tracked with better accuracy which will result in fewer awkward-looking comparisons. 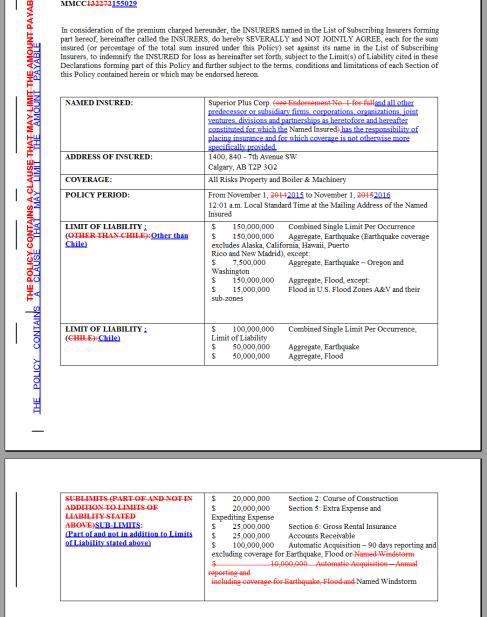 The following “Before” image illustrates the previous issue with PDF comparisons, where tabs and nested tables caused formatting issues and reported incorrect revisions. 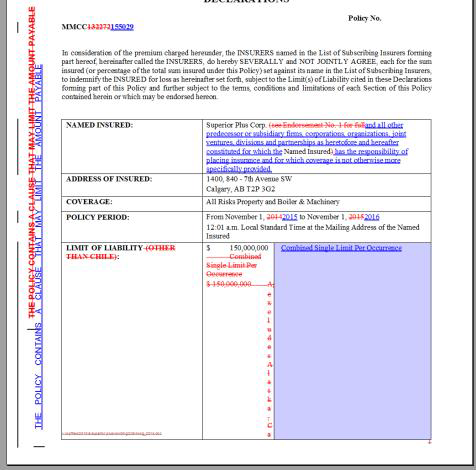 The “After” image shows the same document compared once again using 9.5 and reports the changes made inside the tables correctly. For Workshare users using Protect to clean their metadata, the engine has been rebuilt to clean faster and reduce the severity of interruptions to their workload. Files as small as 1 MB used to take an average of 9 seconds to clean and files around 10 MB would approach a minute. Now with the new and improved engine, those 1 MB files should take less than a second to clean, and times for the larger files have been cut by more than half. As an added bonus, Word documents will no longer be opened by Workshare while cleaning. With the new engine, comparison times and loading documents have also improved by reducing downtime during the redlining process. Finally, here’s one of the greatest improvements that will make users happy. Both the folks at Workshare as well as here at Kraft Kennedy have been well aware of the frustrations and disruptive nature of license renewal prompts nagging end users. Version 9.5 will no longer generate pop-up dialog boxes that will bother users. Instead, a smaller, less intrusive notification will appear in the ribbon section indicating expiration for end-users while administrators and designated account managers will still receive the pop ups. We hope that this provides just as much a sigh of relief for you as it does for us, as there was nothing we could do for our managed clients for the 30 days the dialogue box would pop up prior to starting Workshare. This change alone should be more than well worth the upgrade. If you have any issues regarding Workshare’s upcoming features or need assistance upgrading to 9.5 to take advantage of the massively improved quality of life changes, please feel free to contact us and we will do what we can to assist. By the way, we have some summer fun planned in NYC with Workshare on July 18th. If you’re in the area, please plan to join us for cocktails on the terrace!